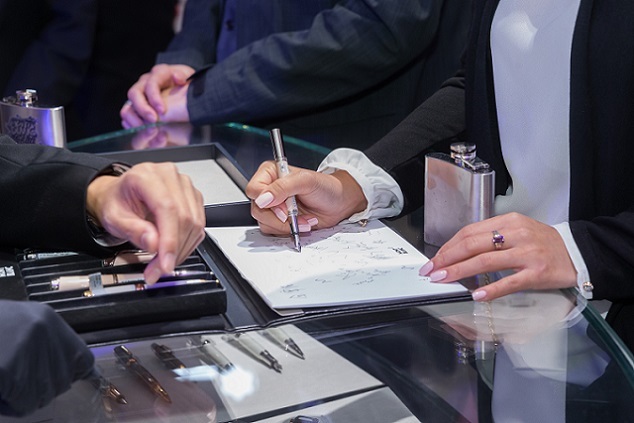 Montblanc launches New Urban Spirit Collection & Augmented Paper Contemporary leather pieces and innovative writing device unveiled at the specially curated urban space at Montblanc 1881 boutique. 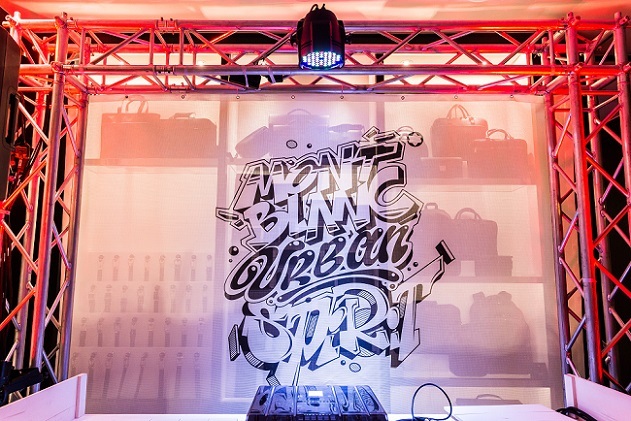 For one night only, Montblanc transformed its Heritage 1881 boutique into a sensational modern street art space for the launch of the Montblanc Urban Spirit Collection, a brand new collection of fine leather companions designed for the urban traveller. Inside the urban art space, guests discovered pieces defined by innovative functionality and streamlined designs, thoughtfully crafted to fit in with the lifestyles of the modern-day pioneers. These dynamic urban lifestyles inspired the multi-sensorial experience created by the raw industrial decor, urban sounds and live urban street art. 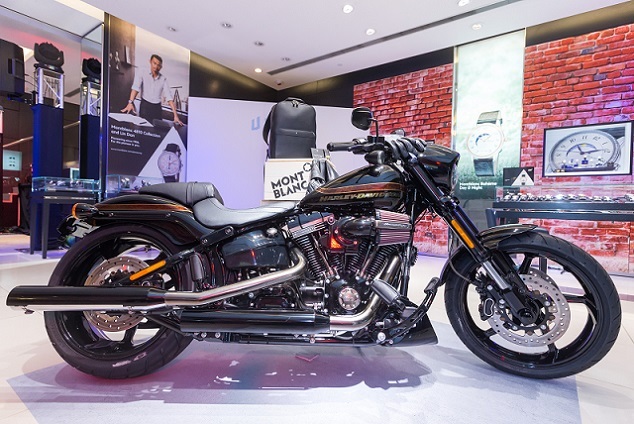 Welcomed by a Harley-Davidson motorbike (Sportster- Forty-Eight), and creative display of Urban Spirit Collection at the main entrance, guests had the chance to enjoy creative cocktails prepared by renowned mixologist WooNow while DJ Signo Sound provided hottest urban music for the evening. 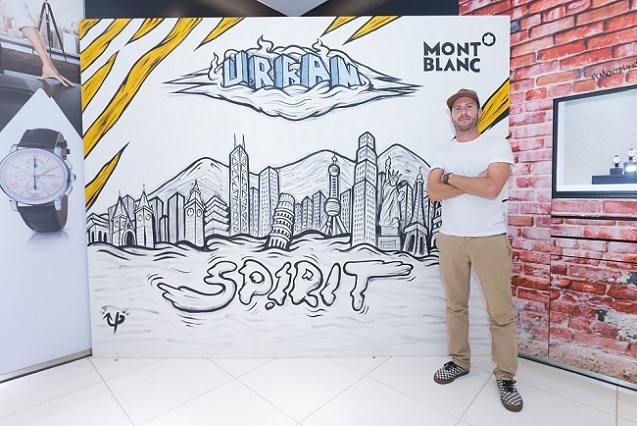 Highlights from the party included a urban street art live demonstration on huge canvas by artist Used Pencil and dynamic 180 degree photo booth which allowed guests to create their own personalized photos by using Montblanc’s latest writing & digital device Augmented Paper. An interaction with illustration artist Kalo Chu who applied her modern calligraphy to the personalization of Urban Spirit leather bookmark, adding an unconventional twist on traditional western calligraphy on the beautiful Urban Spirit leather piece. The full Urban Spirit Leather Collection including backpacks, totes, duffle bags, document cases and double gusset briefcases, as well as the Urban Spirit Men’s Accessories that included elegant cufflinks and bracelets inspired by street architecture. The newly launched Montblanc Augmented Paper is thoughtfully takes the traditional art of handwriting into digital world. 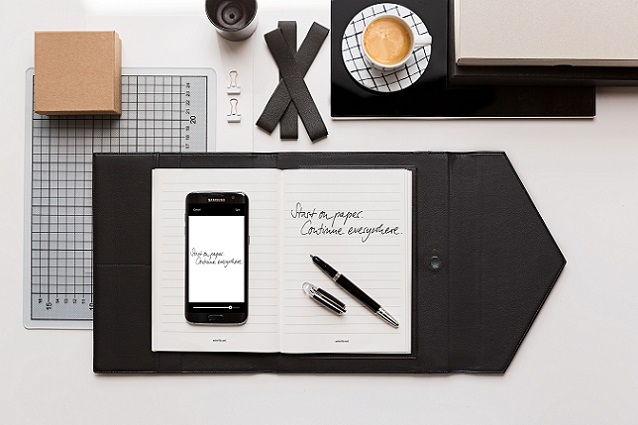 With Montblanc Augmented Paper, written notes and sketches can be transferred from paper to a mobile device with the simple press of a button. Once on the device, the content can be edited, shared with others and translated into digital text to increase productivity and performance. Bringing together the best of both analogue and digital worlds, Augmented Paper pairs the enjoyment of a natural Montblanc writing experience on real paper with the efficiency of digitizing work so that it can be organized and shared from anywhere.